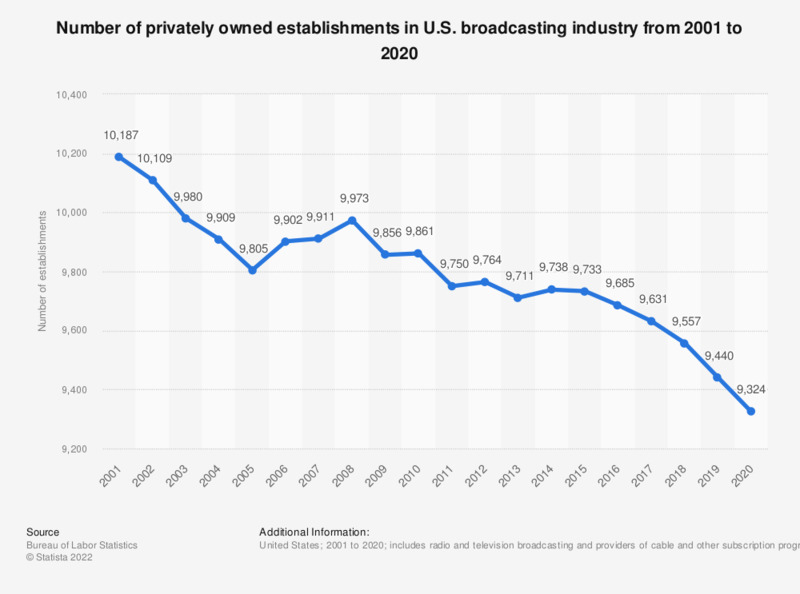 The statistic above contains the number of privately owned establishments in the U.S. broadcasting industry from 2001 to 2017. In 2017, there were 9,631 establishments in the U.S. broadcasting industry. * An establishment is a single physical location at which business is conducted and/or services are provided. It is not necessarily identical to a company or enterprise, which may consist of one establishment or more.